« Shuttle launch from a passenger jet – lucky devils! 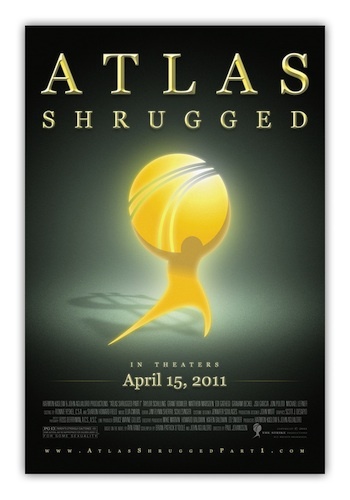 “Atlas Shrugged” movie merchandise available now! 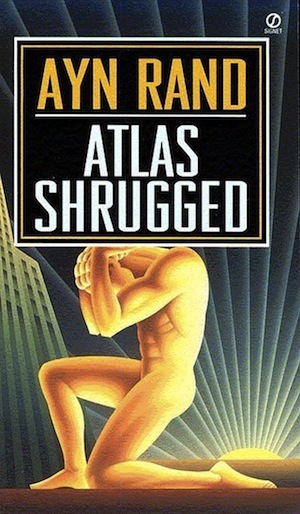 This cover has been used on many printings of the book. Besides the usual shirts and such, there’s a nice iPad cover and iPhone with the design shown on the poster, and no text at all, which is cool and understated. There is also a lapel pin that’s about $15 of the same atlas design. I ordered mine before the site was even up. Mine came with a nice little thank-you card signed by scriptwriter Brian O’Toole!